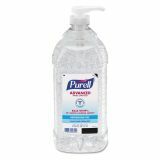 PURELL Advanced Instant Hand Sanitizer, 2L Bottle - America's #1 instant hand sanitizer is an advanced antimicrobial germ killer that soothes the hands and maintains skin health. 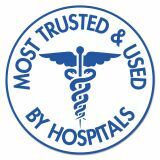 Instant Hand Sanitizer in a pump bottle kills 99.99 percent of most common germs that may cause illness. This alcohol-based hand sanitizer works in as little as 15 seconds with no water or towels needed. 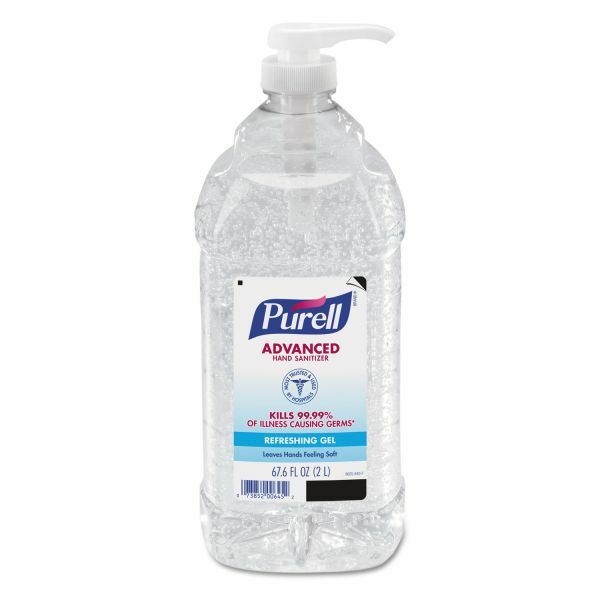 Purell Advanced is enhanced with four different skin conditioning agents that help maintain skin health and skin moisture while improving the feel of your skin. Specially formulated moisturizers leave hands feeling soft and refreshed. Instant Hand Sanitizer features the correct dose clip for single use or refilling smaller bottles. 2 Liter Bottle with Push Pump Dispenser.